"Let&apos;s go honey" mom said. "Ok." I said and we left the house. I put allow my luggage in the trunk and sat in the car and we drove away. I fell asleep in the car. "Wake up Jayu! We&apos;re here!" She said. "Huh? We&apos;re here?" I said as I woke up and rubbed my eyes. The house is huge. it&apos;s a mansion!!!! I have to see her and her "12" sons. "OMO!! Hii! Come in! Come in!" My aunt said. When we came in the house, there was a chandelier on the ceiling. It was just beautiful in there. "Guys come In here and meet your new sister." aunt said. 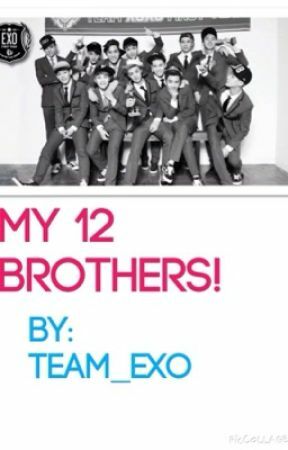 Right when she called them, i stared at the 12 of them and I thought to myself (are these boys... the boys of EXO??! !i don&apos;t think so) well anyways..... they looked soo manly. Especially the one that looks like a grown man. "What are you guys waiting for? Introduce yourselves." aunt said. "Alright, now you know them and it your turn to introduce." aunt said. "U-um, ok. Uh.... Annyeonghaseyo nae ileum-eun Jayu-imnida!" I said and waved with a lot of aegyo. I don&apos;t know why I did aegyo. "Ooook. Now, Chanyeol take her to her room and the rest of guys, do whatever but don&apos;t make lots of noise cause I&apos;m talking to her mother. arraso? Aunt said. "Arasso!" They said and went. 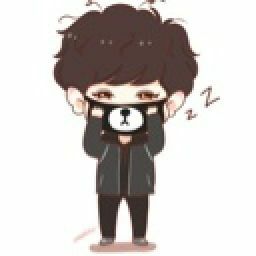 Chanyeol took my hand and my bags to my room. somehow, I felt really comfortable around him. "Ok, this is your room and I&apos;ll be downstairs if you need anything ok?" He said and kissed my cheek. I love having brothers. especially really cute ones. I bet I&apos;m going to get along with Chanyeol the most. but I have to hang out with all of them. I took a shower and put on some pajamas and went downstairs to tell my mom bye and she left. So I went with my brothers in the family room. "Hey guys." I said and suddenly I didn&apos;t see them in the room. I screamed so loud when they all jumped on me and tickled me on the couch. why would they do that? "AAAAGGGGGGHHHH!! Oppas I can&apos;t breathe!!" I said while laughing so loud and Chanyeol and Kris came in the room and stopped everything. "Guys.... STOP!" They said and they scared me cause there voice is so deep. they both pushed everyone off of me and they sat next to me on the couch. Kris in one side, Chanyeol on the other side. I suddenly feel asleep. So did everyone else. I was the only one in the living room on the couch sleep and I heard footsteps. I took her to her room and sat her on the bed and suddenly, I feel on top of her and she woke up. we stared at each others eyes and we quickly got up. "It&apos;s ok. Oppa." she said. She&apos;s such an angel. but I can&apos;t fall in love with my sister. "Yes. it&apos;s not a problem with me at all." she said. "Ok. goodnight Jayu. Saranghae." I said and I kissed her forehead. As we both went to sleep.